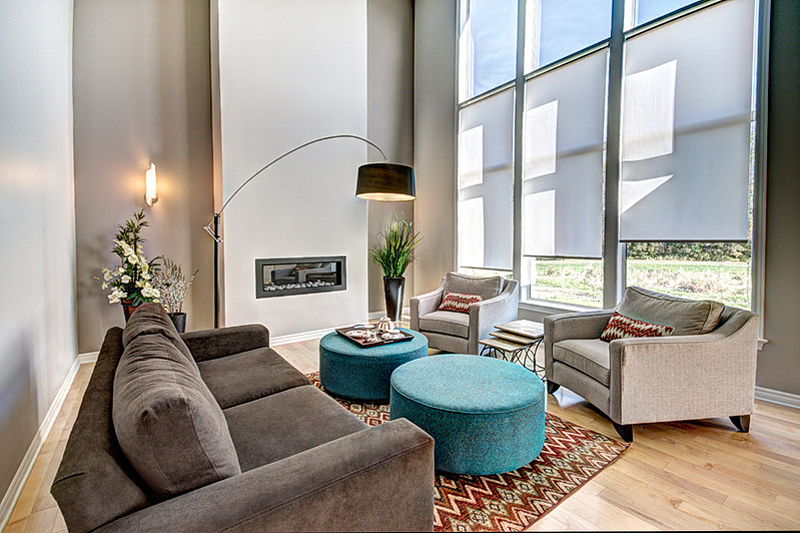 Add a pinch of black to your living space with a black drum floor lamp. A charming living room is something we usually want to expect from the homes that we visit – because we want that for our homes too. Either we already have done it with our spaces, or we are at least working on achieving just that. Whether you have a small living room or even a large one, how you go about arranging things in it makes it prettier and more accommodating. For today, you would be seeing a couple of living room spaces that I think are real comfortable as much as they are charming and pretty. 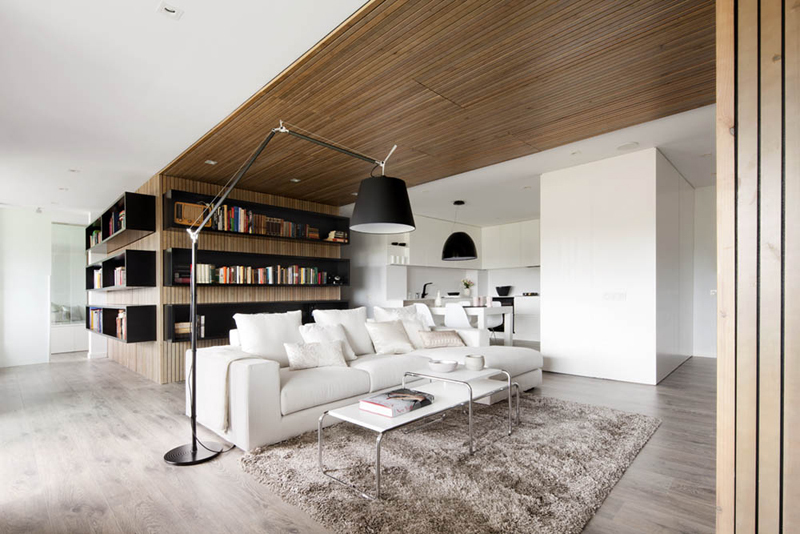 These are 20 Contemporary Living Rooms with Black Drum Floor Lamps and they are awesome! 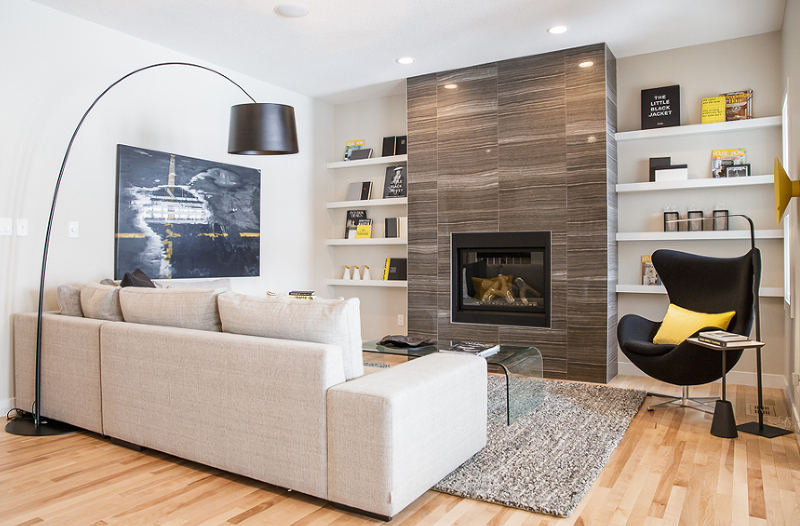 From picking the simplest black floor lamp to getting the prettiest couches or sectionals, these living rooms are the bomb! Go check them out and share them with your friends! First up! 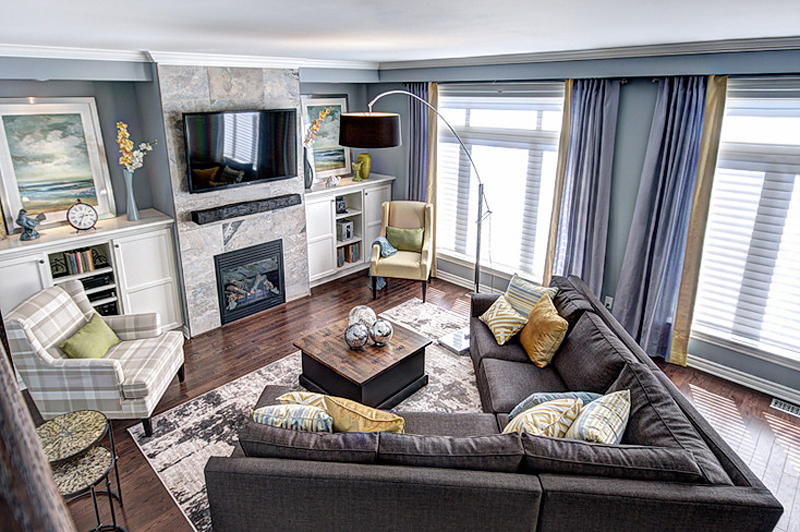 A small living room with a bright couches (or would this count as a sectional) and interesting pieces on the wall and on the floor. 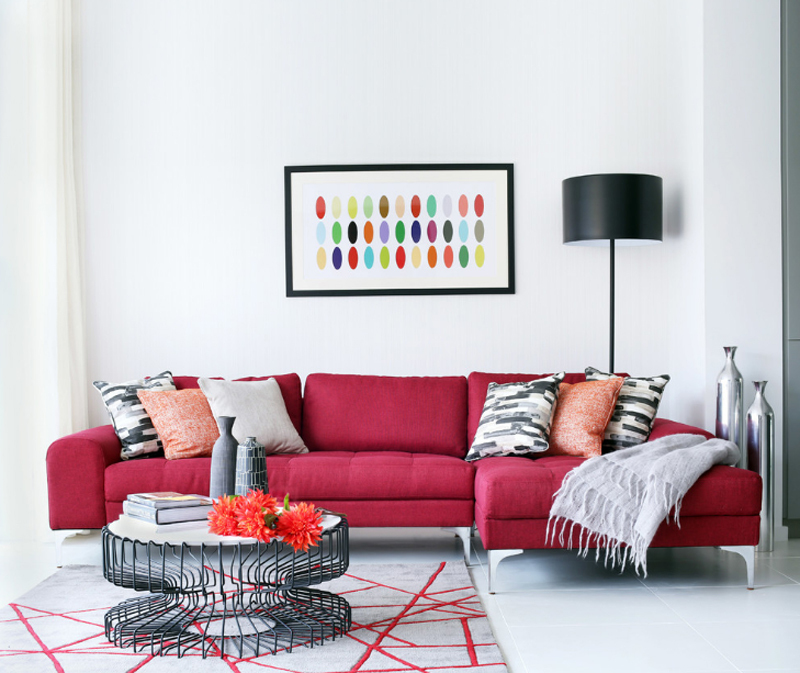 I think that choosing a bright-colored couch is perfect especially when you have a plain white wall. Adding colorful or printed pillows and decorations add to the beauty of you space – and we all know that using of prints, when done correctly will mean great things for your home. This black floor lamp is kind of interesting for me because of the way its body is made and it’s adjustable too, so it would be very helpful especially for people who reads. 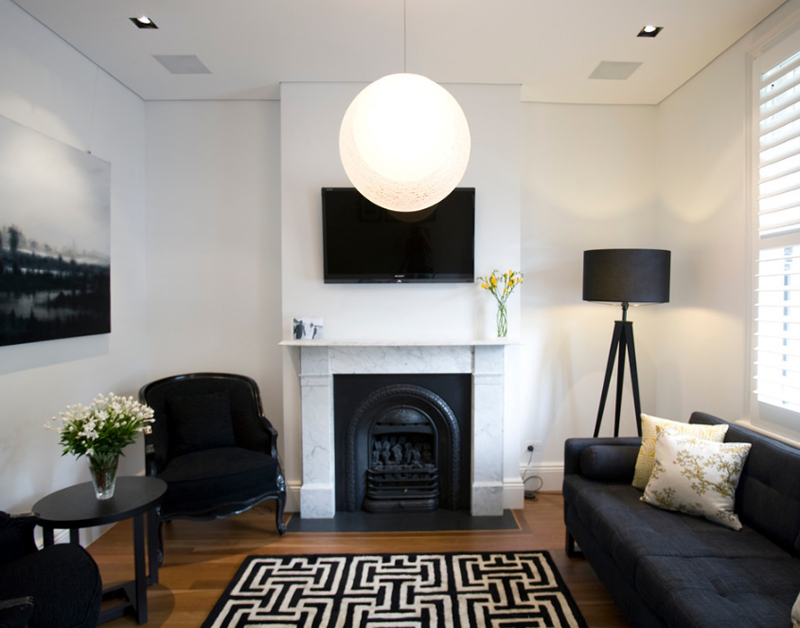 The black and white combo that this living room has is quite neat and adding browns make it a bit more lively. Whether we admit it or not, this living room is quite charming. 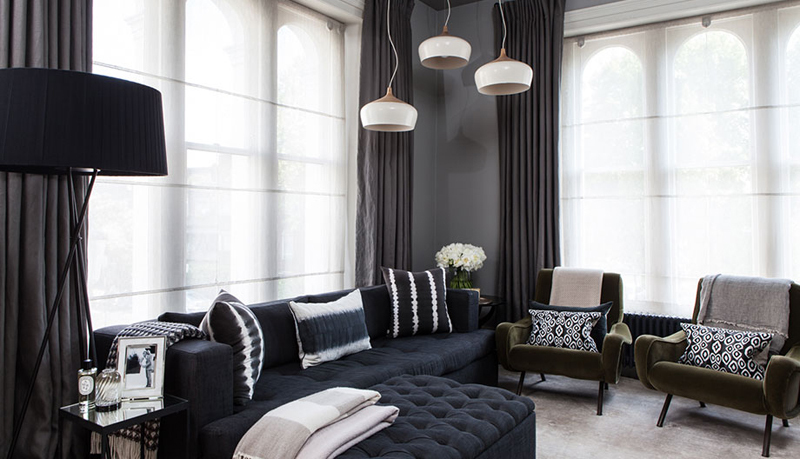 The level of sophistication seen on the choice of furniture and decoration is quite stunning. I love the royal blue sectional along with the mid-century arm chairs on the side and the lamps used in here – their colors contrast each other and its just beautiful. The blue chair in here is just wonderful! It sure is the center of attraction of this living space and it’s literally in the middle of the room! I mean, well, in between the living space and the area behind it. The chair sure is modern and neat and the furniture around it is just wonderful as well. Notice how there is very few decorations in here too? 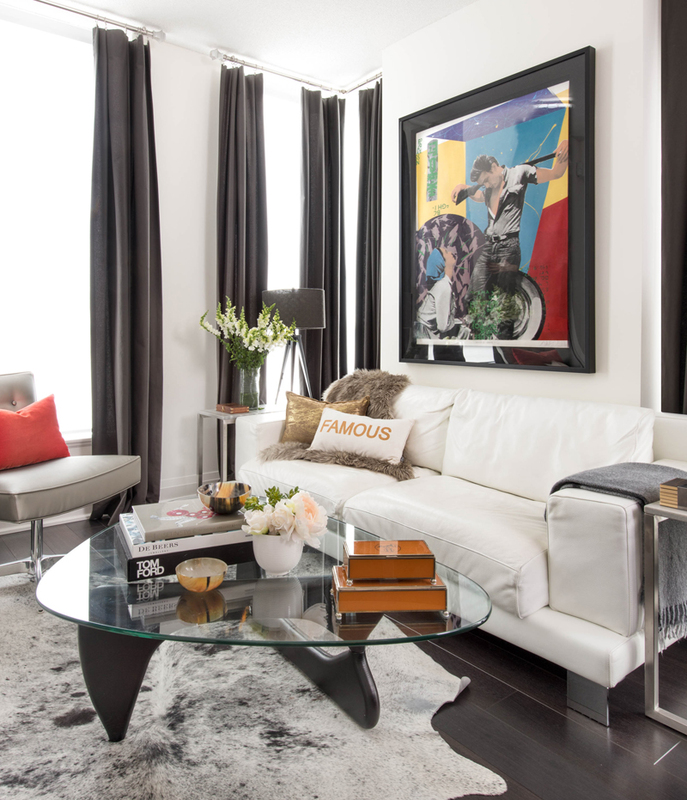 This bachelor pad has been featured time and time again in Home Design Lover, and why not? It’s serving as a bench mark as to how bachelor pads should actually look like. As much as this space is not showing off too masculine or something, this is somehow showcasing a bit of Backstreet Boys realness. I love it! Did you even notice that this living room has the same coffee table with the bachelor pad photo you just saw before this? I know that this coffee table has a Japanese name of some kind and I think that this actually works – both for the spaces. See that black floor lamp on the background though? What a beautiful sectional! It’s neat, simple and comfy! It matches with the mustard yellow ottoman and I think they complement each other well too. In a living room with white walls and ceiling, using colorful furniture makes it have more life and it makes it interesting too! We can’t be certain, but this home might be owned by an eye doctor or something. Have you noticed the fancy area carpet designed to look like that chart you are asked to read when you pay the eye doctor a visit? Pretty cool, right? I think that I’d invite my friend to check this one out! They belong to a family of eye doctors! Now this living room is living it! In a more sophisticated and modern approach. Using leather and black for your furniture and maybe – entire house surely will make any room look a bit masculine but of course classy. Of course, this all depends on how the black was actually used. The more I look at this living room, the more I believe that nice things come in white. I mean, I know some of the areas here are in beige or in grey, but imagine this space not having a bit of white in it and you’d feel that it’s sad or something. 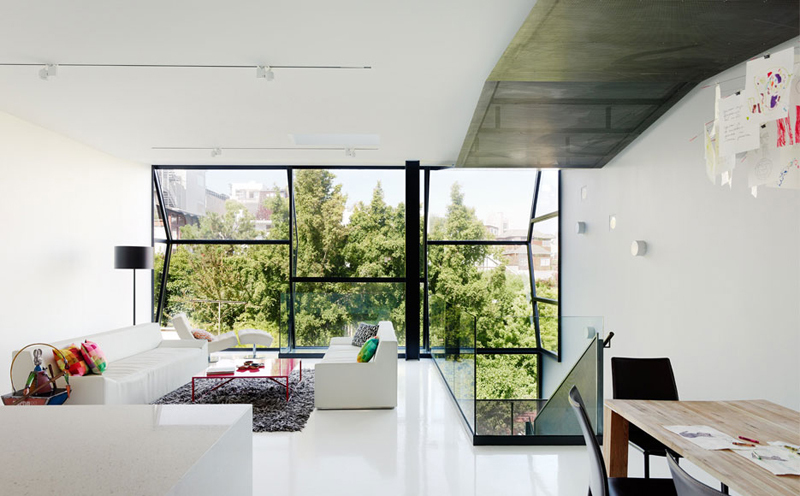 This black and white living room sure doesn’t look too crafty. I mean, it’s sophisticated and all but I wish they have a bit of artwork seen in here aside from that painting on the wall; but I sure love the area carpet in here that looks like a maze or maybe our intestine. Haha! That was obviously one corny joke from yours truly. 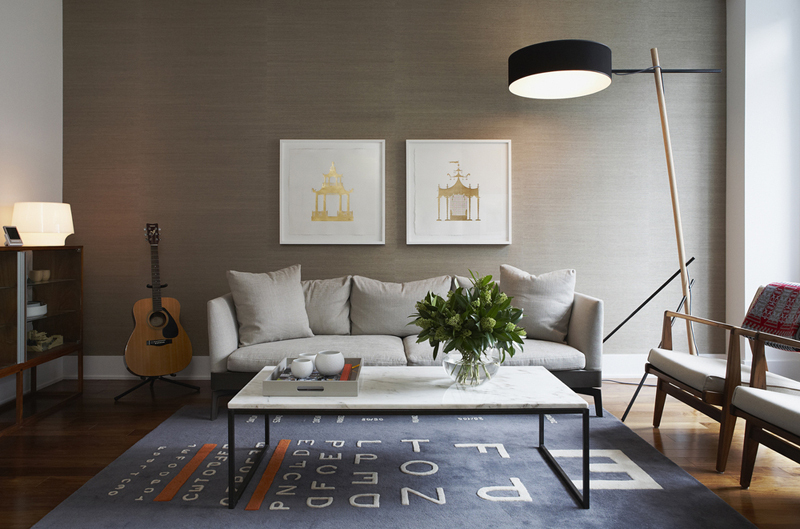 What do you think about spaces like this that really try to accommodate a big seating area for hanging out? I think that the people living in here surely love their gadgets and stuff. The color scheme in here is quite simple and common but it sure is neat and quite fancy. 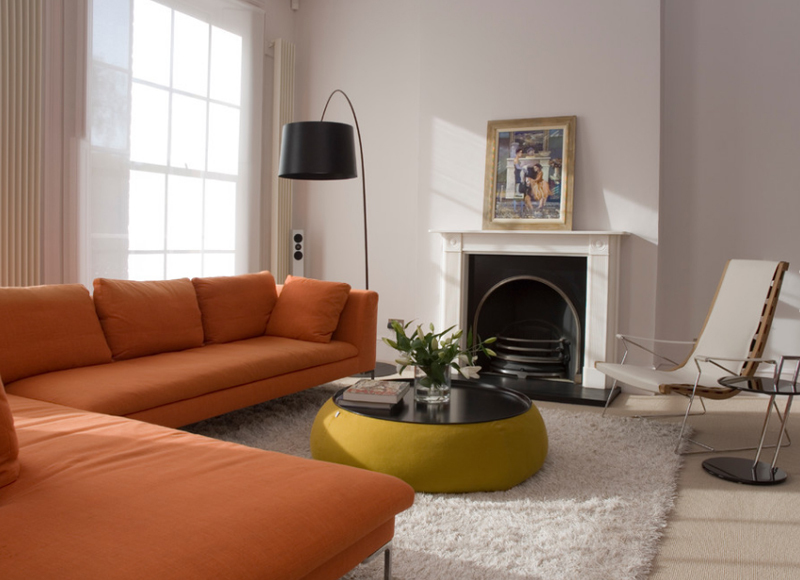 I always love living rooms or even bedrooms with egg chairs in them! Maybe this is because I actually want one for myself and it’s just too adorable not to want one! Am I right, people? The color scheme of this space is quite similar to one above it. I’ve always known that black, white, grey and yellow always is a combination one would live for. I mean, look at all this gloriousness and tell me I’m wrong. The design of this drum pendant lamp is quite common in this list if you might have noticed – maybe this design is popular though, I’m just not sure. 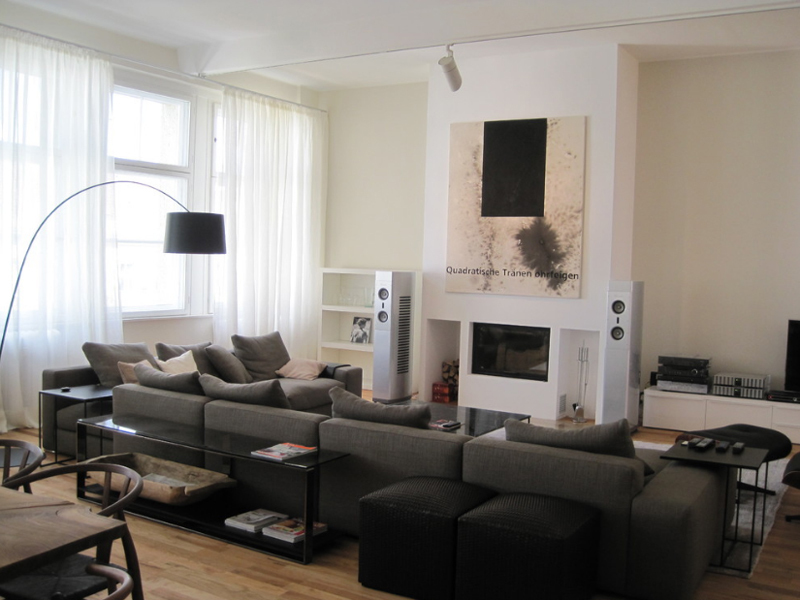 And, tell me what you actually think about this living room though? Real contemporary and sweet, right? I find that large spaces with few furniture is like a museum or something – but I mean, it’s cool. This one is actually nice because of all the white and large windows, it feels like the trees are part of the house or something. You might have seen this in one list in here or something, but why not? This living room sure looks neat and contemporary enough for someone’s taste and I think that its color scheme is just wonderful and tastefully done. From this angle, the sectional really looks like a bit of a diamond or something. I like how they did this to make the living room look a bit irregular but it actually works. The color scheme is quite interesting for me but a bit sad – maybe because of all the blue; but all in all, this suburban home is quite a charming piece of work. I once featured a space that has seats like these, they are interesting and contemporary enough that I think it actually works for the space. Honestly speaking though, I think that this home is owned by a younger couple or at least those hippy types or something because I know for a fact that my parents wouldn’t even consider buying this design. 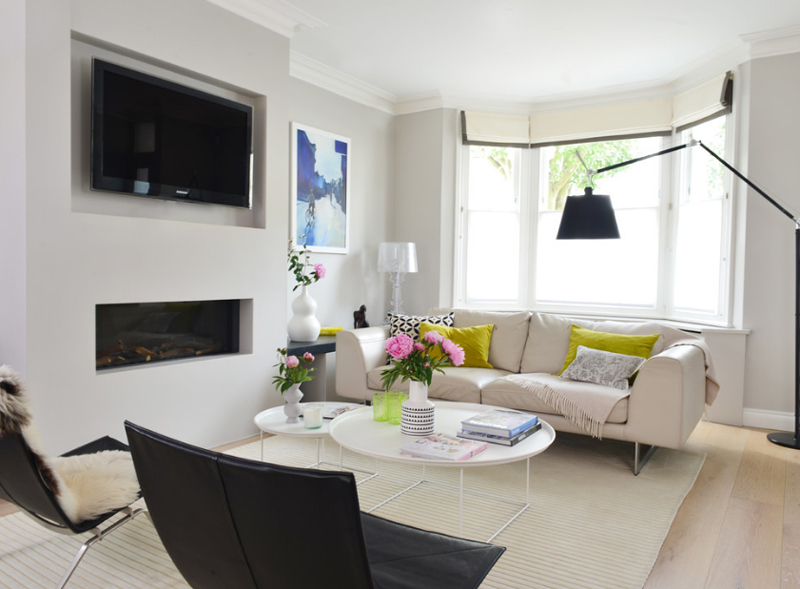 This living room I get – large space for seating ideal for welcoming people and all that – because I think that people who do not usually receive guests at home would not consider one slight bit a large living room or at least a lot of seating. 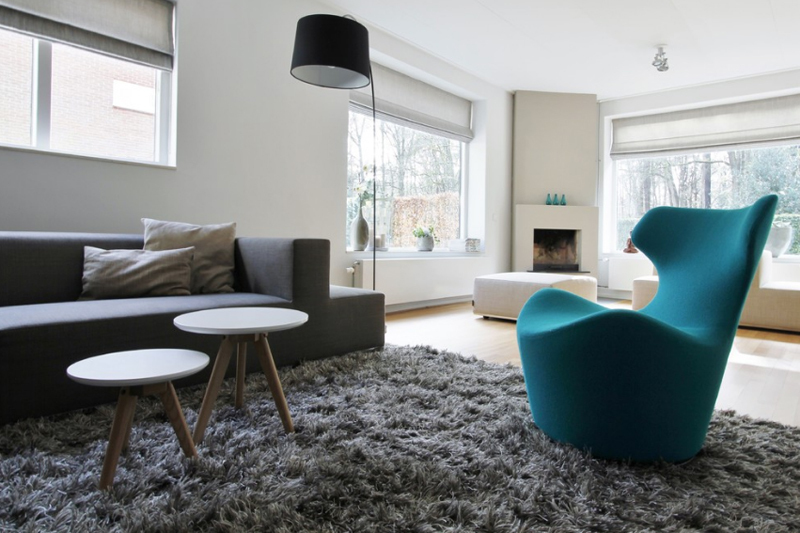 The colors seen in this last living room is quite simple but refreshing. Well, that was one list! I really enjoy making lists about living rooms because most of the spaces that I am able to collect are really beautiful and interesting; and from what I have gathered and noticed, the look and design of the living spaces in homes reflect what the owner is – simple or sophisticated, into vintage or classic. 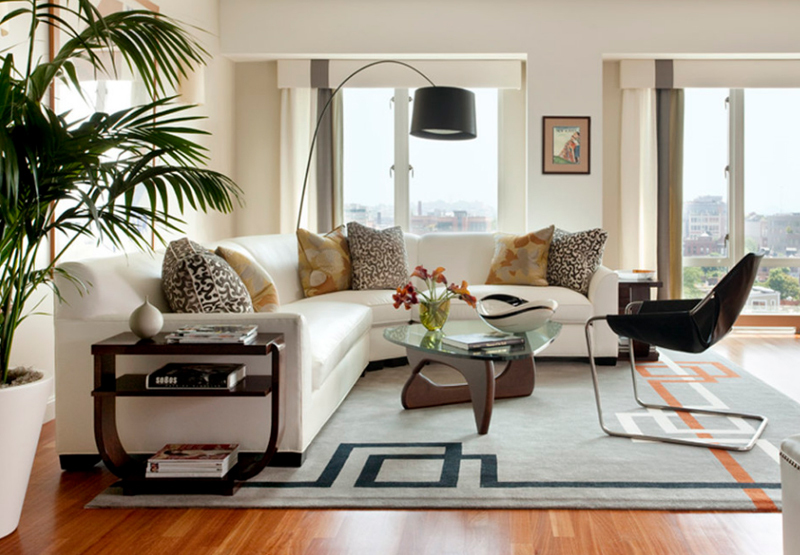 With that, check out the 20 Dazzling Living Room Drum Chandeliers and share with your friends.